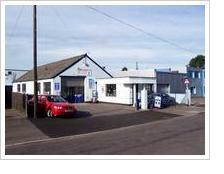 Welcome to Tarsel Motors Ltd. in Thurmaston, Leicester. We are a local, independent garage, serving Leicster and the surrounding area. Welcome to Tarsel Motors Ltd. We are a local, independent garage, serving Thurmaston, Leicester and the surrounding areas.